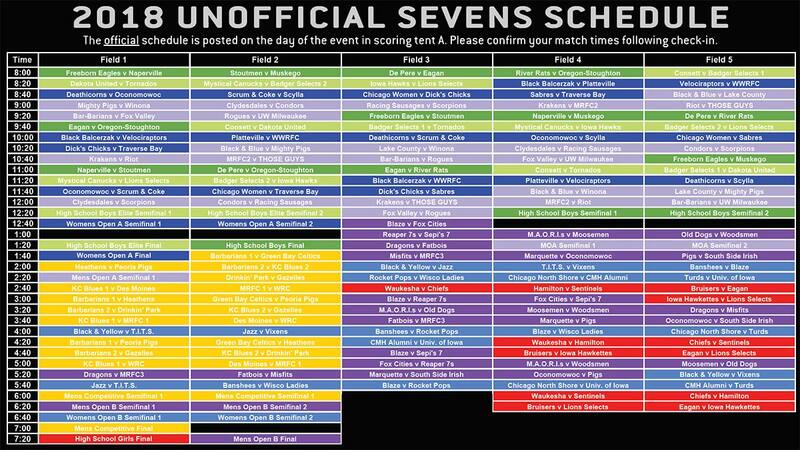 The draft schedule for the 2018 Lakefront 7s Festival is now available for download (see link below). As is usual the exact kickoff time for your team may vary as the week proceeds. Please consult the schedule in the scoring tent on the day of the event for official kick-off times, results, and advancement to the knock-out rounds. You can also try the new tournament app for real time schedule and scoring updates. Teams for each bracket are shown below. Some changes may occur so please consult the scoring tent on the day of the event for official start times and results.